Radiographs, or X-rays, are one of the most common, useful diagnostic tools in medicine. The veterinary team at Animal Hospital of Ivy Square uses a state-of-the-art digital Eklin X-ray unit to examine your pet's bones, lungs, heart, abdomen, oral cavity and other areas and for diagnosing and monitoring many medical and surgical conditions. Your pet is exposed to less radiation. 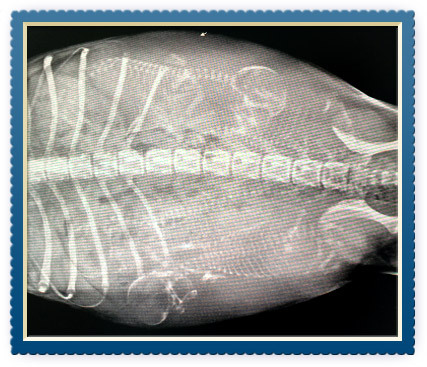 If a second opinion is necessary, digital X-rays can be sent by email to a board-certified veterinary radiologist. We can also send you home with a CD of the images for your records. Our veterinarians use state-of-the-art digital ultrasound to assess the shape, size, tissue density, internal structure and position of your pet's abdominal organs, assess cardiac health (also called an echocardiogram), and diagnose pregnancy. 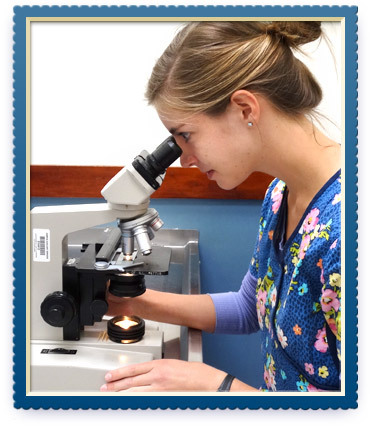 It can also be used to identify masses or tumors and as a guide during surgical biopsies. Ultrasound is a painless, safe, non-invasive procedure that produces a real-time moving picture of your pet's organs, allowing your veterinarian make observations that cannot be detected by X-rays alone. It is one of the many ways we strive to give you peace of mind when it comes to your pet's health. The ultrasound procedure takes between 30 to 60 minutes to perform and, unless it is being used during a surgical biopsy, does not typically require sedation. However, because mild sedation is sometimes beneficial to keep your pet comfortable, we ask you not to feed your pet anything for 10 hours prior to the ultrasound. Clear liquids are acceptable up to 4 hours prior to the procedure. A diagnosis based on what we see is usually available immediately, which means we can also provide you with treatment options at the time of your appointment and minimize your worry and stress. An electrocardiograph (ECG) is a painless, non-invasive recording of the electrical impulses that are generated when your pet's heart beats. ECGs are very helpful at detecting numerous types of irregular heartbeats, as well as a handful of other cardiac conditions that cannot be diagnosed with a stethoscope during a regular physical examination. An ECG is a completely noninvasive, painless procedure that involves placing several electrodes on your pet's skin. The small electrical impulses normally generated by the heart are amplified 3,000 or more times and recorded by the ECG machine. If we notice any abnormalities, we explain them to you and advise you on the next steps. If it is in the best interest of your pet, we will also consult with a cardiology specialist. Often an ECG examination is combined with chest X-rays or a cardiac ultrasound (echocardiogram) to help us develop the most comprehensive assessment of your pet's heart. Our veterinarians are equipped to consult with other healthcare providers by phone or computer with telemedicine. As a result of our investment in digital technology, your pet's diagnostic information can be transmitted instantly to specialists for expert opinions on your pet's medical or surgical problem. These specialists lend their expertise in the research, diagnosis, and treatment when a second opinion would best serve the needs of your pet. Telemedicine is one of the many ways we work hard to provide your pet with advanced and expert care. Because protecting your pet's health is our most important job, we have a complete in-house Abaxis diagnostic laboratory that allows us to perform a wide range of tests on blood, urine, feces and biopsied tissue. Laboratory testing provides information about your pet's overall systemic health as well as detects diseases and other conditions affecting your pet's health and well- being without the need for invasive and expensive procedures. Diagnostic laboratory testing is also completed prior to dental or surgical procedures that require general anesthesia.